We have eight permanent members of staff including a part-time administrator. Staff attend weekly training meetings and regular training courses. Kathryn Cosser is our play leader she has a Foundation Degree in Early Years in Education, and is one of the designated member of staff for behaviour management and is the designated safeguarding lead for safeguarding children, and a First Aid Certificate. 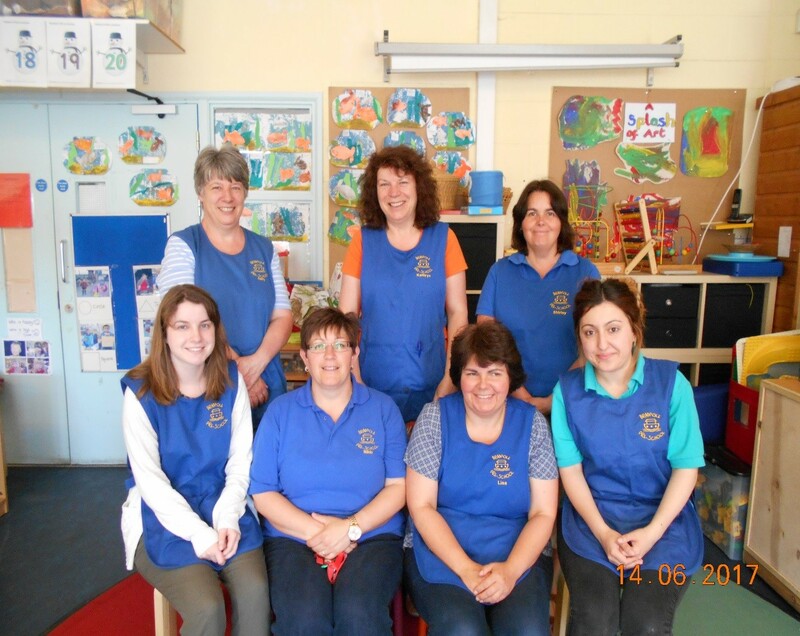 She has also attended courses in observation, practical inclusion, record keeping, grant inspection, behaviour management, safeguarding children, special education, food hygiene and curriculum planning. Shirley Paul is our deputy play leader and is one of designated members of staff for Health and Safety, First Aid, quality champion and e-safety champion and is the deputy designated lead for safeguarding children. She has a diploma in Preschool Practise, NVQ 3, and has also completed the practical aspect of forest school. She has a First Aid Certificate. She has also attended courses in safeguarding children, observation, practical inclusion, record keeping, behaviour management, e-safety,quality, special education, food hygiene and curriculum planning. Sally Parmiter is our special educational needs and disabilities co-ordinators or SENCO. She has an NVQ level four, a certificate in Preschool Practise She has also attended courses in observation, practical inclusion, record keeping, behaviour management, safeguarding, disability, special needs, food hygiene and curriculum planning she also attends regular special educational needs courses. Lisa Hunt has NVQ level 3 and is one of the designated members of staff for Quality champion . Lisa has attended training courses on equal opportunities, safeguarding, practical inclusion, record keeping, behaviour management, food hygiene and safeguarding. Nikki Moss is a trained Pre-school Assistant and has an NVQ Level 3 in Childcare. Nikki holds a First Aid Certificate and has also attended courses in practical inclusion, e-safety, behaviour management, communication and language training and food hygiene . We also have relief staff members who we can call on in cases of sickness and holidays. All bank staff are DBS checked.